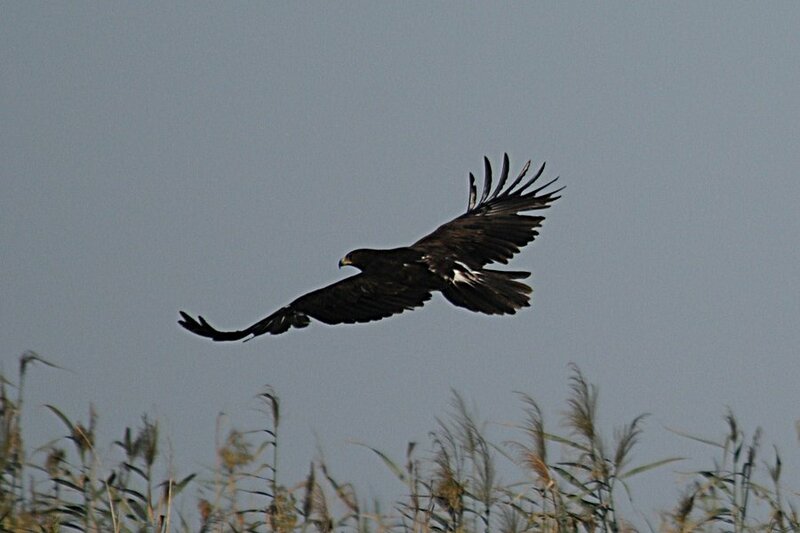 On the 10th November there were at least nine Greater Spotted Eagles present at Sabkhat Al Fasl. This is the best month for seeing the species at the site but nine in a single visit is still an exceptional record. Five of the birds were adults or sub-adult types and four where 1st Calendar Year birds (juveniles). 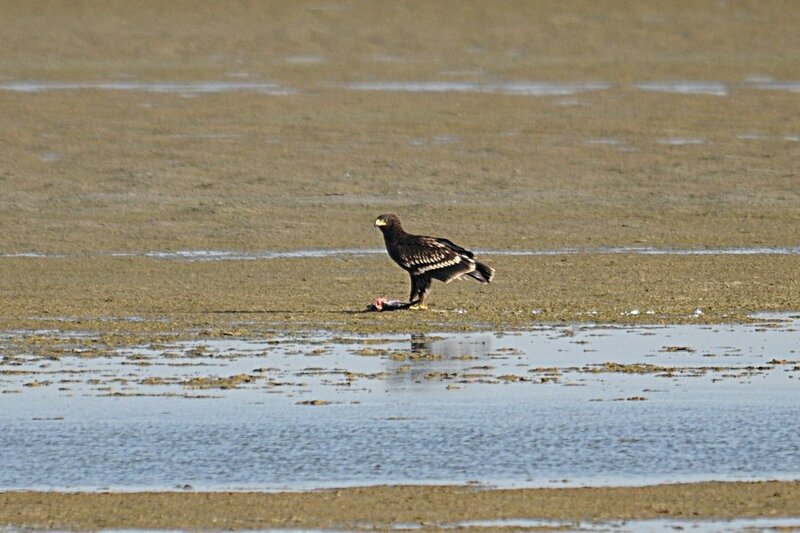 They were spread over the entire site with two juveniles seen together eating a dead fish on the Sabkhat Area and three adults together in the water in the same area. Although there were a number of different sightings the birds would never allow close approach so the photographs taken are not of the best quality but show you the power of the species quite well. 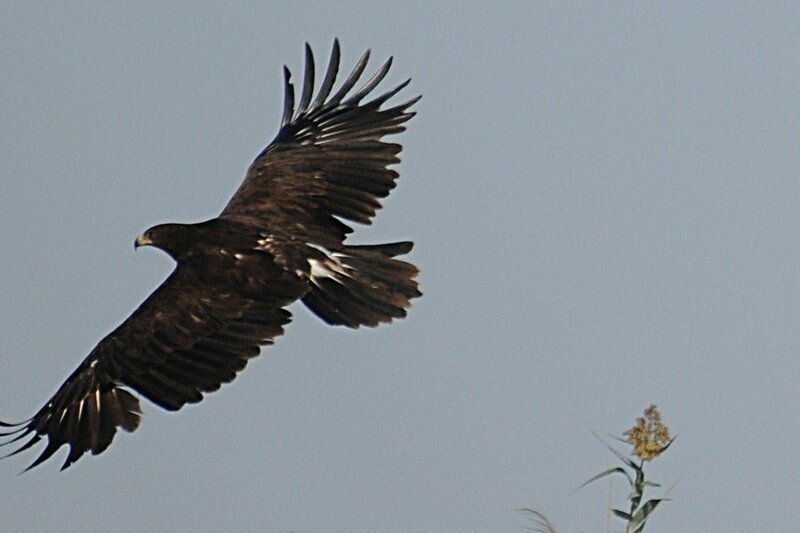 Greater Spotted Eagle is classified as vulnerable but wintering numbers in the Eastern Province of Saudi Arabia, particularly Sabkhat Al Fasl are increasing. An interesting note by Brian Meadows on the species occurrence in the region is published in Sandgrouse 33 (2) 2011.